Celebrate the special lady in your life this Mother’s Day! 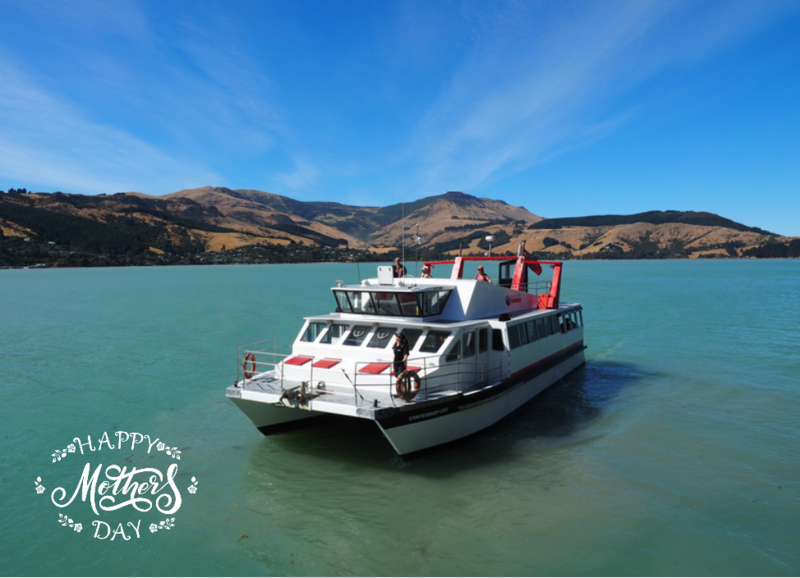 Enjoy a 1.5-hour scenic cruise on Lyttelton Harbour aboard our spacious catamaran “Canterbury Cat” and make this Mother’s Day one to remember. Take in the stunning local scenery as you sip on a delicious She Universe hot chocolate and you might even spot a Hector’s dolphin! Choose from two departures available on Sunday May 12. The first departs at 11:00am returning at 12:30pm. The second departure is at 1:00pm returning at 2.30pm. Departs from B-Jetty in Lyttelton. This entry was posted in Lyttelton New Zealand and tagged christchurch, christchurch activities, Habour cruise, lyttelton, mother's day activities, Mothers' Day.